Mahesh Babu’s films have always managed to entertain the audience big time. The superstar has paved way for many trends in Tollywood and has never shied away from trying anything new. Same is the case with Srimanthudu. 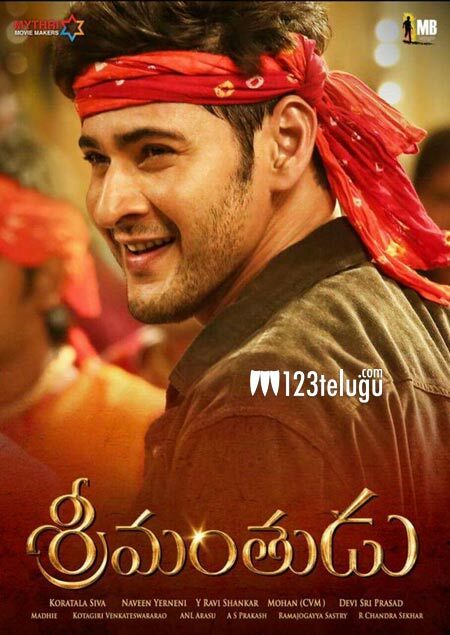 When everybody was happily choosing typical commercial pot boilers, Mahesh Babu took a huge risk with Srimanthudu and accepted a script with a meaningful and hard hitting subject. Credit should also go to Mahesh for believing in Koratala Shiva’s vision and pulling of an mesmerising performance in Srimanthudu. The film has impressed both the critics and fans alike and is doing exceptionally well at the box office. Not only the film world but several politicians and bigwigs have hugely appreciated this flick for its social message of adopting a village. Mytri Movie makers have produced this film which has music by Devi Sri Prasad.